Business signs can cover a variety of sign types: indoor, outdoor, trade show signage, and vehicle wraps. It is crucial that branding remains identifiable and consistent across all channels in order for business signage to be the most effective. Without that cohesiveness, your business may represent unprofessionalism or disorganization – something consumers aren’t attracted to. Carolina Custom Signs & Graphics has worked with corporations, local businesses, brands, and non-profits alike to create business signs and banners that are effective and cohesive. 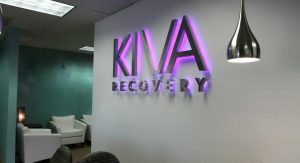 We are a full-scale sign company that offers design, fabrication, and installation services to clients in Greensboro, NC. Since our signs are produced locally in-house, our sign craftsmen can create custom business signs for clients who are looking for something different. Signs for business purposes should be well-designed and easy to understand – they are your store’s first communication with potential clients! One of the most impactful and effective commercial signage types is building signs. Responsible for 46% of walk-in traffic, building signs proudly display your brand, letting nearby shoppers know that you are not only there, but open for business and ready to assist them. The type of storefront sign that you choose says a lot about what a consumer can expect to find inside your facilities. We design, manufacture, and install custom building signs that accurately portray your business personality and meet your branding guidelines. Wondering how to increase the effectiveness of your advertising efforts? Don’t overlook signage, which can be forgotten in today’s digital age. According to a survey by FedEx, print marketing is still a heavily-relied upon tactic for today’s small business owners. What’s more, 91% of owners surveyed felt that readable graphics were very important for small business signs. Our professional graphic designers can assist you in creating attractive, creative, and colorful business advertising signs. 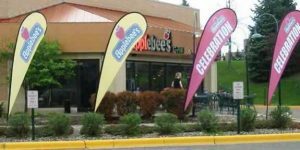 Flag signs, outdoor banners, and other exterior signage can greatly impact your ability to catch the attention of passerby, and ultimately attract them into your business. Call Carolina Custom Signs & Graphics today to schedule a free consultation! Looking for an economical and quick way to advertise? Business yard signs are easy to install and take up only a small amount of space, making it a versatile option. Business signage doesn’t have to be expensive to be effective. A pop-up banner is a great way to create brand recognition at a tradeshow or event. Business banners are an easy way to display yourself as an event sponsor or supporter. Our team can also create business signs from cut vinyl, which can be applied to almost any surface. 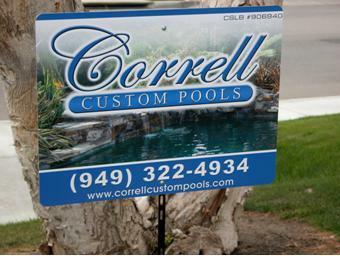 We offer an easy process to create custom signs for our business clients. At Carolina Custom Signs & Graphics, we specialize in assisting our business sign clients throughout the entire process. We produce and manage the entire sign creation in-house, right here in Greensboro, NC so our teams are able to communicate quickly and resolve any issues under one roof. We can offer a better, customized product than our competitors because we’ve streamlined our custom process. Our team of graphic designers can accept existing art files in various formats and transfer them into printable vectors, which are scalable to various sizes without a reduction in file or image quality. Once vectorized, our experienced sign craftsmen will create your finished product, which can then be installed by our professional installation staff or self-installed, depending on the project type. Carolina Custom Signs & Graphics is dedicated to providing you with outstanding support and high-quality business signs that reflect your brand, attract new customers, and improve your sales. Call Carolina Custom Signs & Graphics today at (336) 252-2032 for a Free Consultation with a Business Signs Expert!